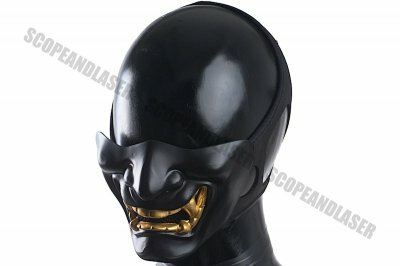 TMC have thought out of the box for their new mask and have now introduced a samurai mask. 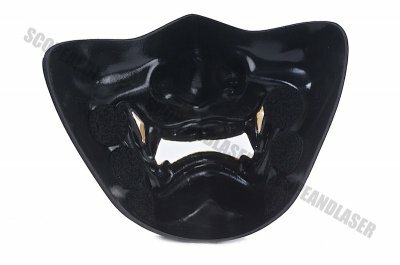 It is a hard plastic shell mask with mesh where the teeth are meant to be. 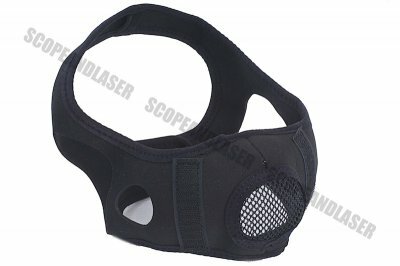 It's held together by a relatively stretchy foam that is tied together with velcro at the back. 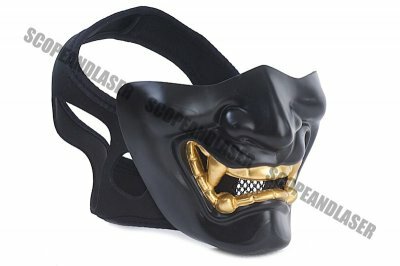 The foam itself has padding on the inside of the mask which gives it that extra comfort for wearing it long periods of time. Available in medium and large with black or gold teeth.